As part of our contributor series, Daniela Andreevska, content marketing director at Mashvisor, talks about investment property strategies. Mashvisor provides a real estate analytics tool which helps real estate investors quickly find traditional and Airbnb investment properties. One of the best aspects of real estate investing is the variety of options which you can choose from. If you are thinking about investment property strategies — whether you have a real estate license or not — you must be wondering which way to take. To help with your decision, we show you the top four real estate investment strategies for beginners. One of the best ways to start your real estate investing career is through wholesaling real estate. The main benefit of this strategy — which makes it particularly appropriate for beginners — is that you need very little initial capital. As a wholesaler, you need to find a property for sale, acquire a contract from the seller, identify a buyer, and assign the contract to him or her. The process usually takes a few days or weeks, and you can walk out of the deal with a few thousand dollars in your pocket. The only costs you have to cover are those for finding a property for sale and for marketing the property to interested buyers. While anyone can engage in real estate wholesaling, this short-term investment strategy is particularly beneficial for individuals with a real estate license. As a realtor, you will have access to many more properties for sale than a regular investor. This means that you will be able to find houses being sold below market value, which will make marketing the property easier and your profit larger. Once you obtain a license, you start building a real estate network comprised of property sellers, property buyers, other realtors, investors, etc. You can use this network to your advantage to identify both sellers and buyers for your real estate wholesaling endeavors. So, while wholesaling is absolutely feasible without a license, getting a real estate license for investing will definitely make you more competitive in this strategy. Another excellent way to start a real estate investing career is through fix-and-flip. 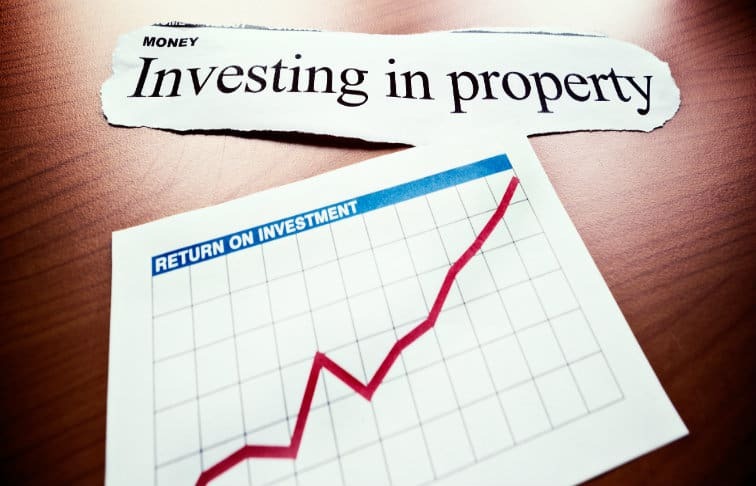 This short-term investment strategy will give you the opportunity to get a bit more engaged with the property while you still make fast money in real estate. In a fix-and-flip, you buy an investment property (usually in a distressed condition) for cheap, do the necessary repairs, and finally sell the property for a higher price. Your profit is the difference between the sale price and the purchase price as well as the cost of the fixes you implemented. The trick is to be able to identify properties for sale under market value and to make low-cost repairs which will raise the value of the property by a lot. This strategy is good for beginner investors as it gives them a chance to taste the flavor of real estate investing to decide if it’s the right choice for them without having to commit to a property and to a mortgage for decades to come. Once again, although fix-and-flips are accessible to just about anyone, having a license and being a realtor is definitely a big plus in this strategy. You will not only have access to more properties for sale, including such sold under market value, but you will also know various contractors from your network which will prove of great value during the renovation process. Moreover, contractors are likely to give you discounts if they know you are in the industry and will most probably hire their services again. Cheaper fixes translate in more profit for you after you sell the property. This is one of the investment property strategies with a long-term focus. It’s probably the first one that comes to your mind when you hear about investing in real estate. It’s a top choice for beginner investors as there is no urgency to conclude the deal quickly and it gives you the opportunity to make money in the long term. Buy-and-hold means that you will buy an investment property to keep long-term until you decide that the time has come to sell. You make money from real estate appreciation as the value of properties increases over time. This is known as natural appreciation and is a great way to make passive money in real estate. Having a real estate license will help you with this strategy as well. Being a realtor, you know the market well and you can easily identify the area which is expected to appreciate the most in the coming years. Moreover, you have access to all listings on MLS the moment they become available, which means that you can make an offer on a house before anyone else. In addition, you get to save from commissions as you don’t have to work with an agent. 4. What about rental properties? The last of the investment property strategies for beginners is a type of buy-and-hold. Instead of just keeping the property and waiting for appreciation to happen so that you make money in the long term, you can rent out your property and make money in the short term as well. With rental properties, you can start making a steady income as soon as you buy a property and find a tenant. The rental income will be an excellent supplement to the commissions you get as a real estate agent. Furthermore, as a realtor, you know the local market well, and you know where there is demand for housing, so you will be able to find a profitable rental property to invest in. Investing in real estate is a great way to make money, especially for realtors who already know the business and the local housing market. All that is left is to choose which of the top investment strategies above is the right choice for you and to start making money as a property investor.